Katrina Alcorn was a 37-year-old mother with a happy marriage and a thriving career when one day, on the way to Target to buy diapers, she had a breakdown. Her carefully built career shuddered to a halt, and her journey through depression, anxiety, and insomnia--followed by medication, meditation, and therapy--began. Alcorn wondered how a woman like herself, with a loving husband, a supportive boss, three healthy kids, and a good income, was unable to manage the demands of having a career and a family. Over time, she realized that she wasn't alone; many women were struggling to do it all--and feeling as if they were somehow failing as a result. Mothers are the breadwinners in two-thirds of American families, yet the American workplace is uniquely hostile to the needs of parents. 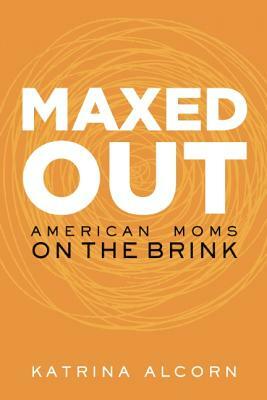 Weaving in surprising research about the dysfunction between the careers and home lives of working mothers, as well as the consequences to women's health, Alcorn tells a deeply personal story about "having it all"; failing miserably, and what comes after. Ultimately, she offers readers a vision for a healthier, happier, and more productive way to live and work. Katrina Alcorn is a writer and an experience design consultant. She holds a master s degree in journalism and documentary filmmaking from UC Berkeley, and is a regular blogger at WorkingMomsBreak.com and for The Huffington Post. Since 1999, Alcorn s day job has been leading design projects with corporations in a variety of industries to help them put technology in the service of people. This work has given her an insider s glimpse into dozens of companies from Fortune 500s to small startups and she has spoken at more than a dozen design conferences internationally. She lives in Oakland, California, with her husband and three children."